What wine to have with the Thanksgiving meal? Why, Gerwürztraminer, of course. It goes so well with traditional turkey-day dishes that it is often called the Thanksgiving Wine. The Gerwürztraminer grape grows in Alsace and Germany. 'Gerwürz' means spicy and this wine has a pleasantly lingering spicy finish. It has fruity and flowery overtones. All of which compliment the Thanksgiving meal. It seems sweet, but the spiciness counterbalances the sweetness. Paired with the proper foods, it becomes the perfect compliment. 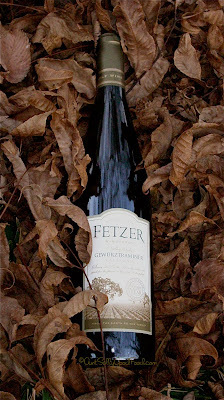 Gerwürztraminer is pronounced ga-verts-tra-meen-er. Hear it here.